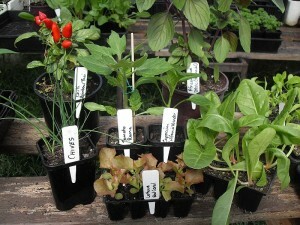 For details of sources for local seedlings, see the relevant part of the Local Food Directory. Like many of you, I mostly grow my veggies from seed, sometimes from seeds that I have saved from previous years’ crops, sometimes from seeds I have swapped with someone else, and sometimes from seeds that I have bought. Because we are an organic-only household, any bought seeds have to be organic and, in my case, this usually means online purchasing from either Green Harvest or Eden Seeds. Germination failure: your sweetcorns fails to germinate (or are dug up by your chickens) and it’s too late to plant any more. Variety: you want to grow X different varieties of tomato, with 1 plant of each variety. Too good an opportunity to miss: you are walking round Eltham Farmers’ market and you see a punnet of really healthy looking bean seedlings. Impulse: somewhere between “too good an opportunity to miss” and “laziness”. The same reason that my husband buys chocolate. Space constraints: lack of a suitable area to propagate the seeds. There are lots of places to buy seedlings locally but, in most cases, the seedlings themselves were not grown locally. Rather, if it is local seedlings that you are after then you have to be more selective. Luckily, there are a number of high quality, local offerings. Each seedling is ready to plant as it is. No need to divide seedlings and tease apart roots, saving you time. The seedlings undergo minimal root disturbance during planting and are not root bound. This results in reduced transplant shock. There is one other advantage which, in my view, Richard should highlight more. At first sight, soil block seedlings appear to be rather expensive per seedling compared to normal punnets. But let’s say you want 6 different varieties of tomato, with 1 plant of each variety. Punnets are both an expensive and wasteful way of achieving this (because of the unused seedlings). And purchasing individually potted seedlings would be even more expensive. But soil blocks are sold individually, so 6 seedlings of different varieties are the same price as 6 seedlings of the same variety. In other words, soil blocks are a cheap way of buying individual seedlings. 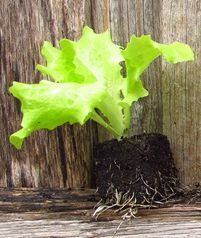 Here is a link to an article that Richard has written: Soil Blocks – Starting Seedlings Organically, which covers everything you might want to know about how to use soil blocks to grow seedlings. 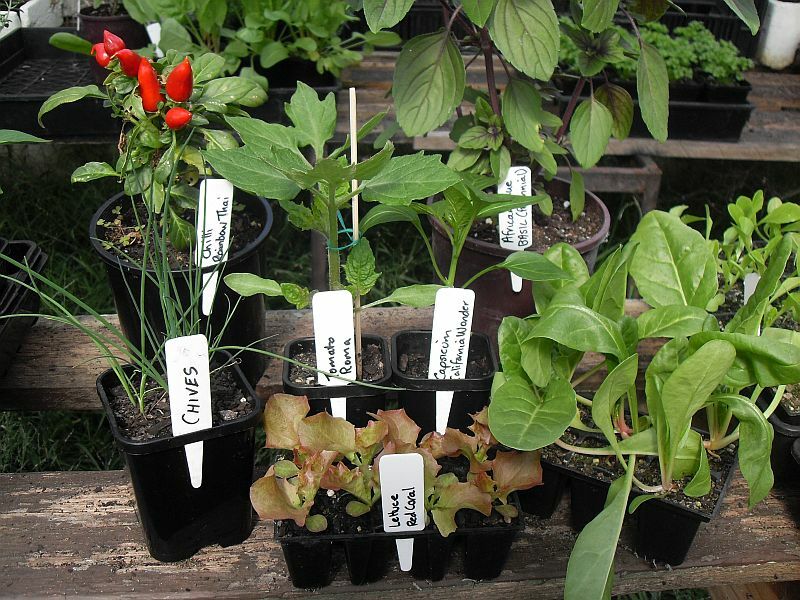 KABUU has a stall at Eltham Farmers’ Market and their seedlings can also be bought at Bulleen Art & Garden Nursery. The second offering is The Mushroom Shed, who are also based in Montmorency. They are the people that I was referring to when I talked about opportunities that are too good to miss. Helen’s seedlings are both exceptional and very keenly priced. You can buy them at many of the local markets (Eltham Farmers’, Hurstbridge Farmers’, La Trobe University, St Andrews and Whitehorse Farmers’). As discussed in Guy’s guide to local mushrooms, The Mushroom Shed also sell mushroom kits.